Very private, clean, quiet and safe. The lady in the office was very friendly and helpful with information. It had a full kitchen. Large living area to hang out in. We stayed here to cook our own dinner which worked out great. Be sure to get your own spices and oils if doing it yourself. There was no microwave. There was a grill but it rained the whole time so we couldn't use it. There was a nice big deck but it rained the whole time so we couldn't use it. This modern cottage felt like new and was very charming. Had a great view of the valley. Clean and easy to stay in. Internet worked well. Host was friendly and drove to the cottage with us to get us in. The upstairs double twin bed was a plus. It was easy to ventilate the cottage; great windows. Clean, comfy, unique and just somewhere where you can relax for the night. Plus heating on bathroom floor!!! The house is much bigger than it seems on the pictures. Our kids liked it very much because it looked like a little witch's cottage. The view from the rooms upstairs is just beautiful! Check-in was very quick. The cottage is wonderful! Fantastic views, very quiet in the country side, well equipped kitchen, very clean, cozy and comfortable. The deck even has a bbq. The beds sleep great. The property was in a fantastic location and was clean, modern and comfortable, all you could wish for, pity we only managed to stay the one night. Good advice on where to go to eat. Host showed us around the property. Property was very comfortable. Good restaurants nearby. Lock in a great price for Vinland Cottage – rated 9.2 by recent guests! Located 1.6 mi from Ekkjufell Golf Course, this country-style cottage offers a fully equipped kitchen. terrace with barbecue facilities and free Wi-Fi access. Central Egilsstadir is 2.5 mi away. A seating area and a flat-screen TV with DVD player are featured in the living room at Vinland Cottage. Kitchen facilities include a stove, fridge and coffee maker. Hiking trails are found right outside the door of Cottage Vinland. A supermarket is found 1.2 mi away. The nearest restaurant is a 5-minute drive from the cottage. 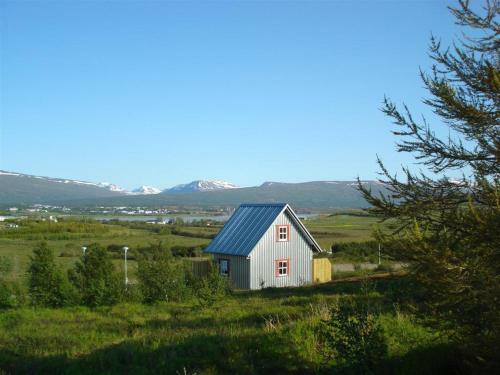 Egilsstadir Airport is a 4-minute drive from the cottage. Seydisfjördur town center is 16 mi away. 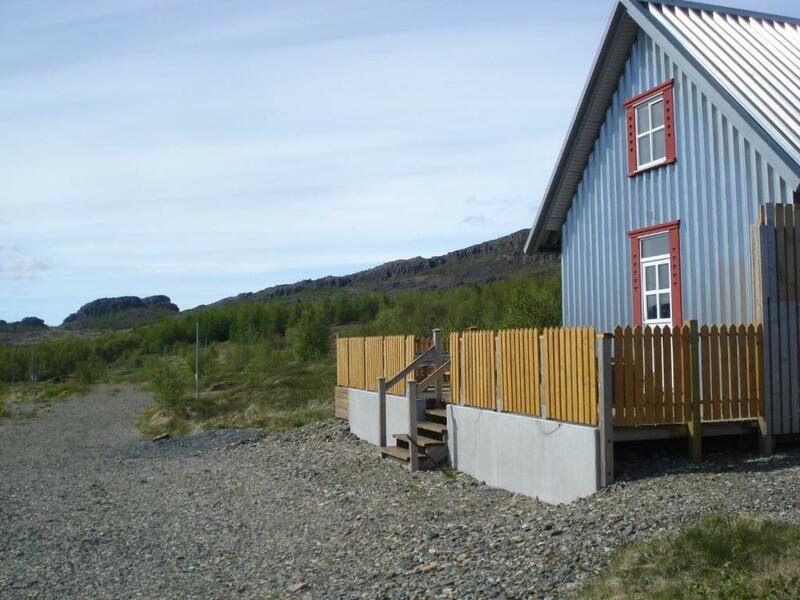 This property is also rated for the best value in Egilsstaðir! Guests are getting more for their money when compared to other properties in this city. 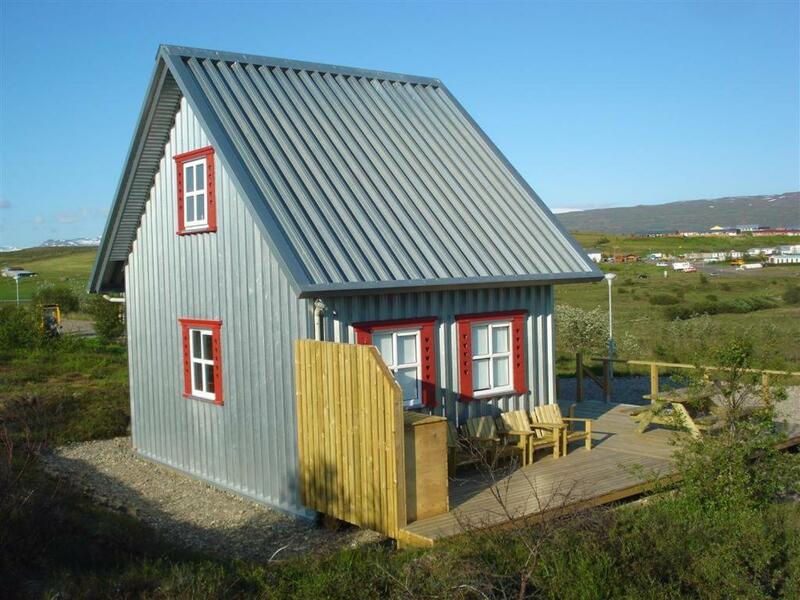 When would you like to stay at Vinland Cottage? - Living room with a seating area and a flat-screen TV with DVD player. We are Ásdís Sigríður og Ólafur Björnsson. We own and operate Vinland Guesthouse, Cottage and Camping Pods located just outside of Egilsstaðir. We bought this plays on april 1´st 2018 and completely fell in love with it. 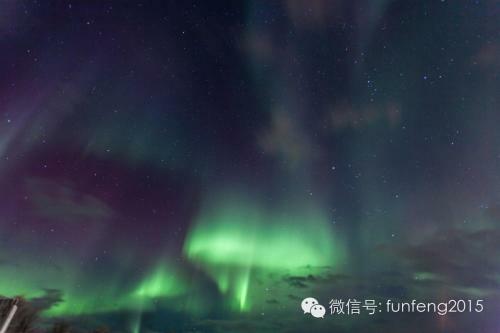 We thing it is a paradise on earth . We lived in Selfoss before. Ólafur worked as an mechanic and owned a mechine workshop. Ásdís worked as a prison guard. Now Ólafur is a station manager at euroepcar carrental an Ásdís is managing the guesthouse. We have 8 children and they love helping us out with the business. Our goals are to provide for our guests the best in facilities and service that we can and to make a successful family business. House Rules Vinland Cottage takes special requests – add in the next step! Vinland Cottage accepts these cards and reserves the right to temporarily hold an amount prior to arrival. 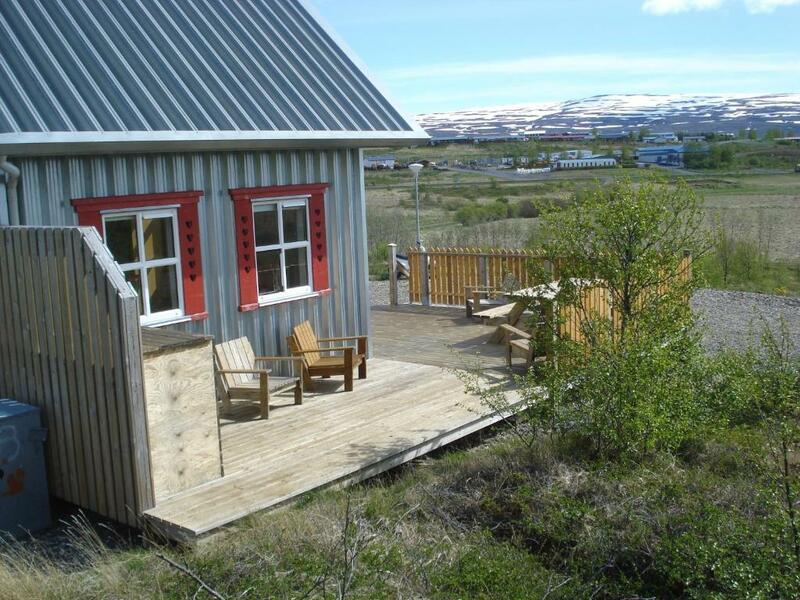 If you expect to arrive outside reception opening hours, please inform Vinland Guest house in advance. 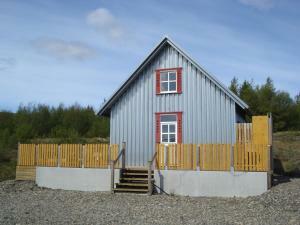 The reception is located at Vinland Guest house, 150 feet from Vínland Cottage. 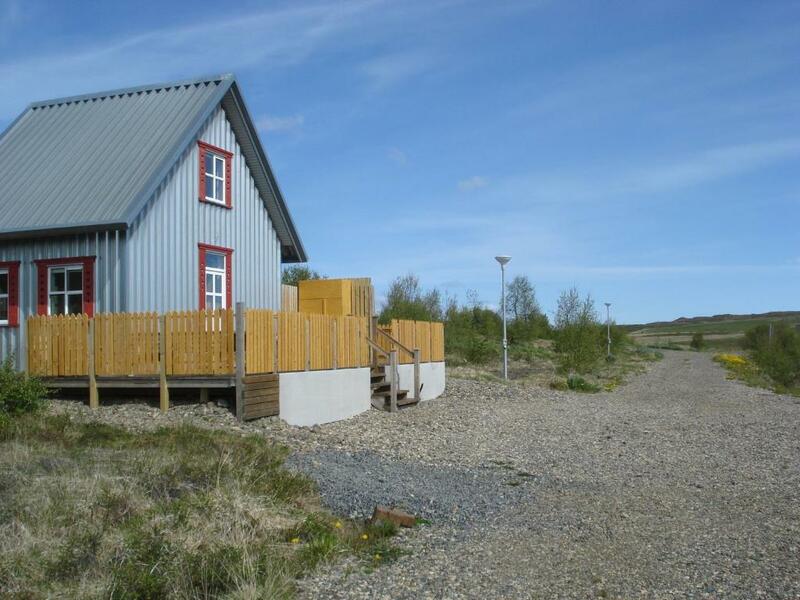 Please note that breakfast is served at Lake Hotel Egilsstaðir, 1.2 mi away from Vinland Cottage. Please inform Vinland Cottage of your expected arrival time in advance. You can use the Special Requests box when booking, or contact the property directly using the contact details in your confirmation. Wind definitely made it noisy but that was ok.
two floor, dangerous for young kids. Bathroom didn't have soap for washing hands and shower. Bedrooms upstairs were very small, i.e. sloped ceilings easy to hit your head on. Steep narrow stairs. Bathroom not on same level as bedrooms and it was very small. It was a bit small for 5 people. It was very clean, tidy and new. Steep stairs to bedroom, Never figured out how to turn on heat. Flooring was a bit warped. Small things like a rubbish can in the bathroom or having sugar and paper towels, instructions for the TV and pullout couch, make a difference. Also need to tell folks sleep area is upstairs. 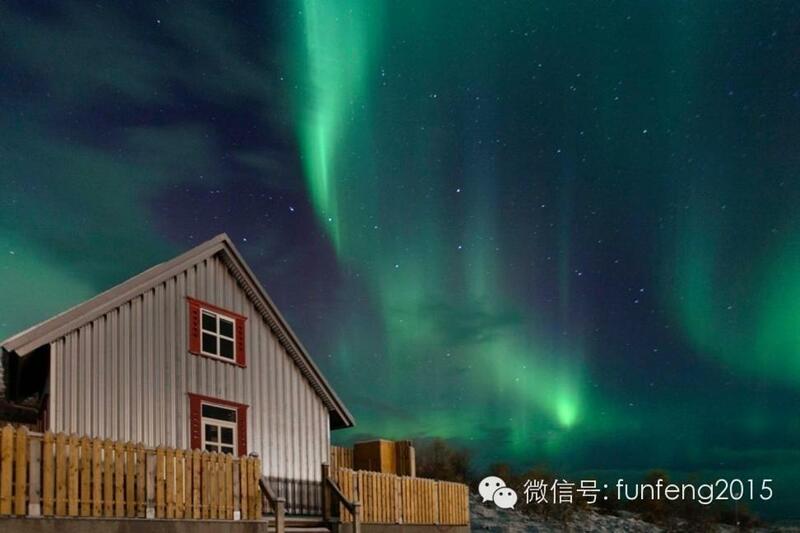 Beautiful cottage and surrounding, nice hosts. Great location and plenty of privacy.